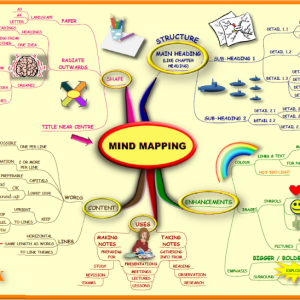 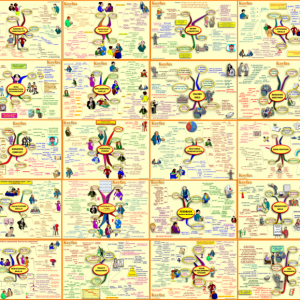 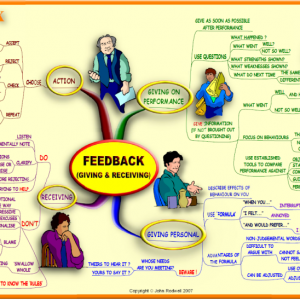 A Mind Map that takes you through the process of setting-up and running a meeting effectively – and also warns of some of the ‘personal agendas’ that some people can come along with! 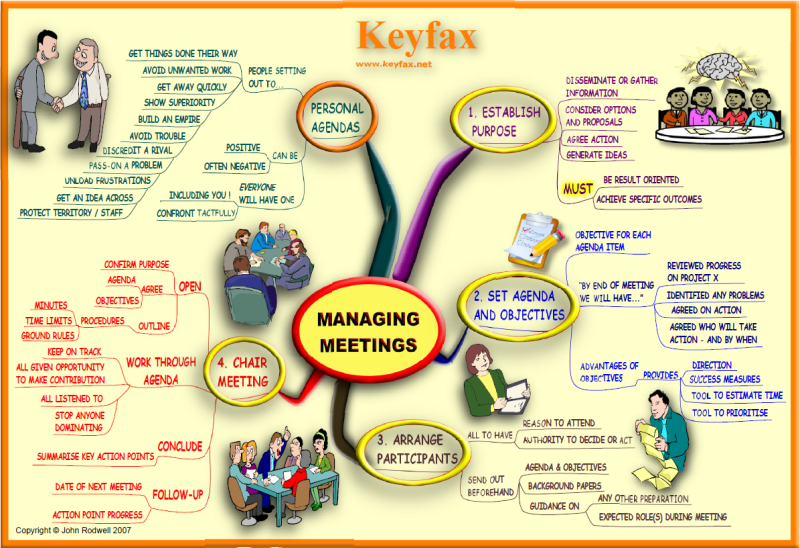 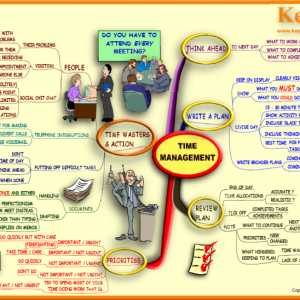 A Mind Map on the key elements of how to plan, prepare and manage meetings. It also lists some of the possible ‘hidden agendas’ that people turn can up with – maybe including you!